Liverpool Football Club have today announced that Kenny Dalglish will no longer be the manager at Anfield next season. The Liverpool legend won the Carling Cup and sent the Reds to an FA Cup final but it was his league position that appeared to create the problem. The statement from the club says that Dalglish's contract was terminated. I must admit and you'll know from reading my blog, I was well and truly on the fence about the future of Dalglish. I couldn't and still can't quite decide whether replacing him is the right way to go. If Dalglish did stay it was clear that several new and successful signings would be required. Dalglish's signings and current team players when he arrived need to have a look at themselves over this summer because some of those lads were as much if not more to blame for the 8th place finish in the league. 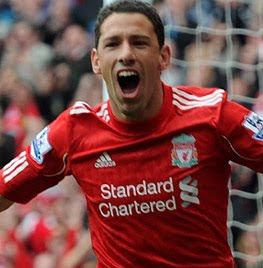 Liverpool's last game of the 2011/2012 season sends them into Wales for an away tie with promoted Swansea. The Swans have been a breath of fresh air to the Premier League and have established themselves as a tougher nut to crack than some may think. Injuries for Swansea mean they are without Agustien and Bodde but manager Brendan Rodgers has not other worries. For Dalglish he is still without Adam and Lucas who both have long term injuries and it's expected that Steven Gerrard may be left out again after he missed the home game against Chelsea. Swansea and Liverpool haven't met very often in recent times but their last match in November saw both sides gain one point in a 0-0 draw. Before this, the last meeting between the two sides was in 1990 in the FA Cup. The Reds put 8 goals past Swansea with no return. Fulham won at Anfield on Tuesday night for the first time ever. That's right, they've never won at Anfield and that in a nutshell seems to sum up Liverpool's league form this season, especially at home. Things were made worse because it was a Martin Skrtel own goal that won it for Fulham. 9 changes to the line up were bound to create some sort of havoc but it was hoped a positive could be created from this... It wasn't. Fulham put themselves on the score sheet just five minutes in after creating some pressure in the box. Unfortunately for Martin Skrtel he was the one who ended up gifting the Cottagers their lead. The sad thing was, other than this involvement from the Liverpool defence, not much else happened. It was unbelievably dire. Considering this was a chance for the players to prove they should start on Saturday, they didn't seem to care.